← Sloppy Bellas: A Vegan Version of Sloppy Joes! We have a tradition in this family of renaming vegetarian/vegan products with a sort of short-hand. If it’s fake chicken, it’s ficken; if it’s fake crab, it’s fab; fake bacon is fakin’. We do this will all sorts of meat replacements. And… as my husband found out the hard way… one should not do this with duck, particularly in front of one’s 8-year old daughter. Fake duck = …. oops! 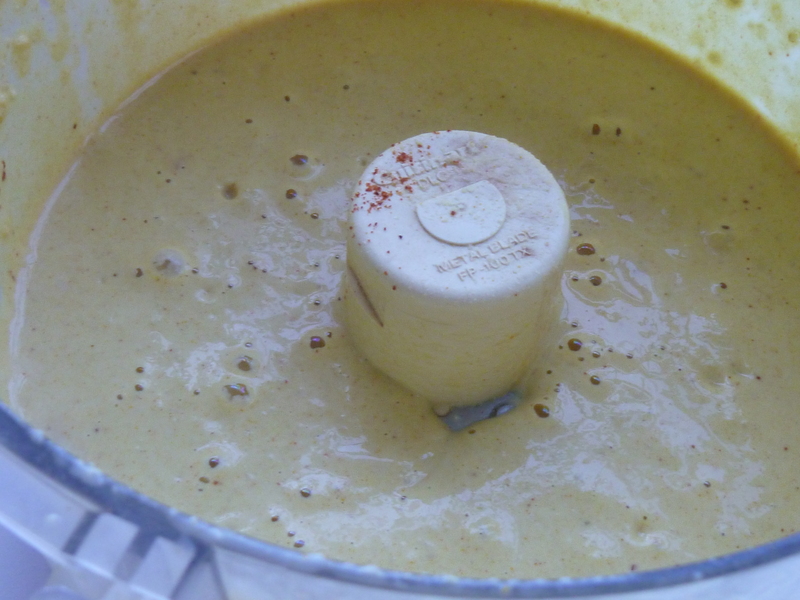 We’ve been looking for a good feese (aka fake – or vegan – cheese) sauce recipe for quite some time. I had tried at least 4 or 5, with varying results according to our family of palettes. 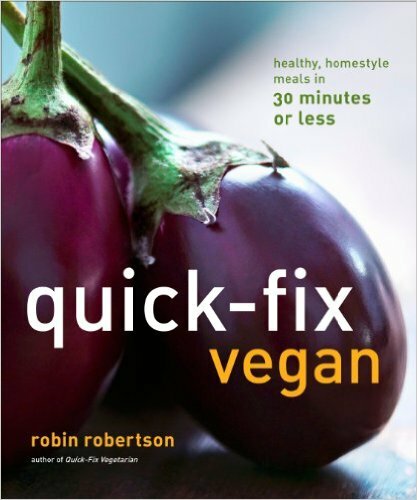 It was not until I tried Robin Robertson’s “three nut cheeze whiz” in her Quick-Fix Vegan cookbook that I felt like I had something I could work with. We were close to EUREKA! Several rounds of tweaking later, and we finally have out favorite, go-to feese sauce. It’s perfect for nachos, baked potatoes, spooned over tater tots, or mixed with pasta for the most satisfying vegan mac ‘n’ cheese ever (or, in our house, mac ‘n’ feese). Hope you enjoy it as much as we do! Homemade vegan cheese sauce is a glorious thing. This Feese! recipe has a little bit of heat to it as well, simply because of how we tend to use it. The chipotle pepper adds a nice bit of smoky spice to dishes with which the sauce already pairs well. Feel free to omit it if you’d like something more mild. It’ll still be crazy good. 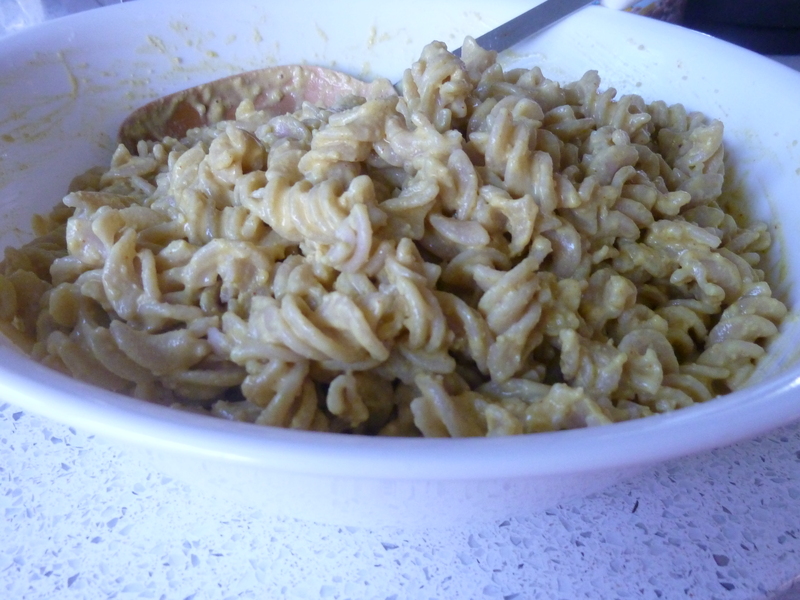 Put the cashew pieces, nutritional yeast, sea salt, garlic powder, and pepper into a food processor. Process the ingredients until well combined and consistent in texture (it should look like cornmeal or a medium-grain powder… essentially, no big chunks or lumps). Add the wet ingredients (almond milk, almond butter or tahini, lemon juice, vinegar, and mustard) and process until smooth. If you’re adding to macaroni, simply pour the sauce over your hot, cooked pasta and blend well. If you’re using for nachos or potatoes, you may want to warm it up first. If warming, transfer sauce to a medium saucepan and heat over medium, stirring well. Sauce will thicken as you warm it. Stop when it reaches the consistency and temp you desire (and don’t forget to stir!). This sauce will store well in the fridge in a covered, sealed container for up to 5 days. It reheats well, but if using the microwave, warm it in small increments (say 30 seconds at a time) and stir each time to keep it from clumping or burning. This entry was posted in Food + Garden and tagged almond butter, almond milk, cashews, fake cheese, feese, feese sauce, homemade, mac 'n' feese, mac n cheese, nutritional yeast, quick-fix vegan, Robin Robertson, sauce recipe, tahini, Three Nut Cheeze Whiz, vegan, vegan cheese, vegetarian. Bookmark the permalink.